Gillian Leigh Anderson (born August 9, 1968) is a film, television, and theatre actress whose credits include the roles of Special Agent Dana Scully in FOX Television's long-running and critically acclaimed drama series, The X-Files , ill-fated socialite Lily Bart in Terence Davies' film The House of Mirth (2000), and Lady Dedlock in the successful BBC production of Charles Dickens' Bleak House. 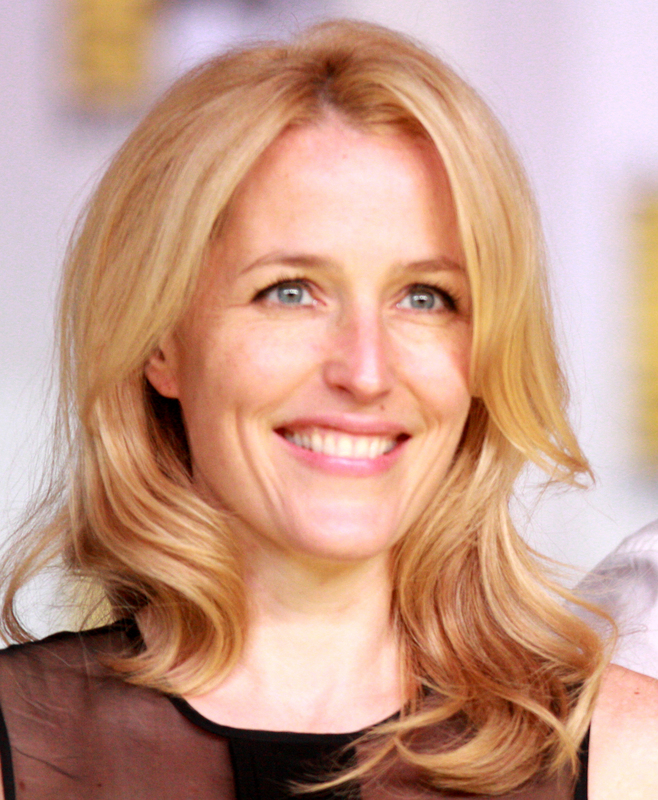 After beginning her career on stage, Anderson achieved international recognition for her role as FBI Special Agent Dana Scully on the American sci-fi horror drama series The X-Files for all nine seasons (1993–2002). Her film work includes The House of Mirth (2000), the dramas The Mighty Celt (2005), The Last King of Scotland (2006), Shadow Dancer (2012), Sister (2012) and two X-Files films: the science fiction-thriller The X-Files (1998) and the supernatural fiction-thriller The X-Files: I Want to Believe (2008).